Summary: Thirty years of fueling debate, enriching policy, and initiating change. 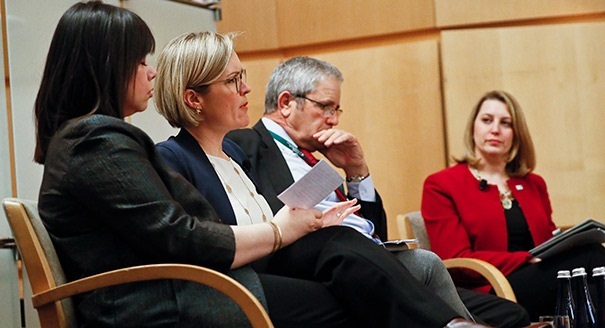 Over 800 experts and officials from more than forty-five countries and international organizations came together to debate—and explore solutions for—the most pressing challenges in nuclear nonproliferation, arms control, disarmament, deterrence, energy, and security. An opening keynote with U.S. Under Secretary of State for Arms Control and International Security Andrea Thompson. A keynote with U.S. Special Representative for North Korea Stephen Biegun. Command-and-Control Vulnerability: Are There Solutions to a Growing Problem? For all the attention paid to the growing threats to nuclear forces, it may be their command-and-control systems that are more vulnerable. What Are the Lessons and Implications of Implementing the JCPOA? On May 7, 2018, President Trump announced the withdrawal of the United States from the Iran Nuclear Deal, formally known as the Joint Comprehensive Plan of Action (JCPOA). Nuclear Crises in South Asia: Underrated or Overstated? Nuclear deterrence arguably has prevented the outbreak of major conflict in South Asia. In spite of the considerable strains on the nuclear order, there may be reason for optimism about nonproliferation. 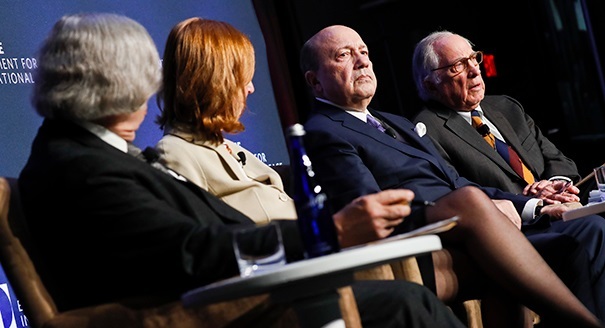 Is Nuclear Deterrence Against Nonnuclear Threats Necessary and Proportionate? All nuclear-armed states, apart from China, explicitly reserve the right to use nuclear weapons in response to various nonnuclear threats, yet they are often vague about which ones. The remarkable diplomacy around the Korean Peninsula in 2018 has created the possibility for transformation of the security order in East Asia. Bilateral arms control is in crisis. The existing architecture is crumbling even as technological advances are complicating efforts to develop new approaches to cooperative risk mitigation. A keynote with Chairman, U.S. House of Representatives Armed Services Committee Adam Smith. What Effects Will the Ban Treaty Have Between Now and 2030? The UN Treaty on the Prohibition of Nuclear Weapons is now open for signature, but what real-world effects will it have on nuclear disarmament and international security more generally between now and 2030? This regular session pits expert judgment against the wisdom of crowds to forecast the global nuclear future—a notoriously difficult but necessary part of policymaking. 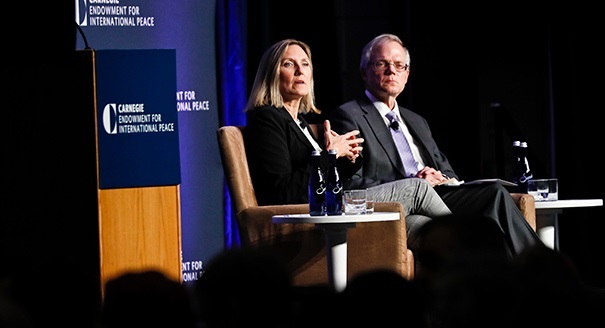 Powering the NPT: Does a Decline in Nuclear Power Affect the Grand Bargain? How important is nuclear technology today for economic development and for implementing climate commitments? Can a Rules-Based Nuclear Order be Enforced? The past twenty years have seen repeated violations of nonproliferation, arms control, and disarmament agreements. Could a Nuclear War Remain Limited? Almost all—if not all—nuclear-armed states have developed plans and capabilities for a range of nuclear response options. At this post–Cold War low in bilateral relations, the traditional guardrails that help stabilize the U.S.-Russian relationship are weakening, and nuclear risks are growing. In 1999, India and Pakistan faced an inter-state crisis in the disputed Kargil region and potentially readied nuclear arsenals, but managed to deescalate without nuclear use. This was the first time overt nuclear powers had gone to war in thirty years and only the second time in history. Two decades later, scholars and practitioners are still grappling with whether this conflict was the product of miscalculation or organizational pathologies, or whether it was a rational response to a power transition. Since the Kargil crisis, evolving developments in doctrine, technology, domestic politics, and great-power competition have impacted strategic (in)stability in Southern Asia and the Indian Ocean Region and will continue to do so. 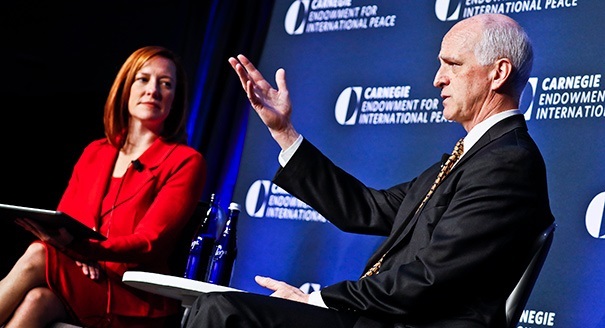 In this increasingly nuclearized, multipolar environment, one power’s expanding interests, modernization programs, or balancing efforts might trigger conflict spirals by exacerbating security dilemmas or encroaching on rivals’ spheres of influence. Panelists will assess the various domains of competition and distill the causes, dynamics, and implications for nuclear policy. in the nuclear monitoring and verification process, which creates new challenges and opportunities for governments. 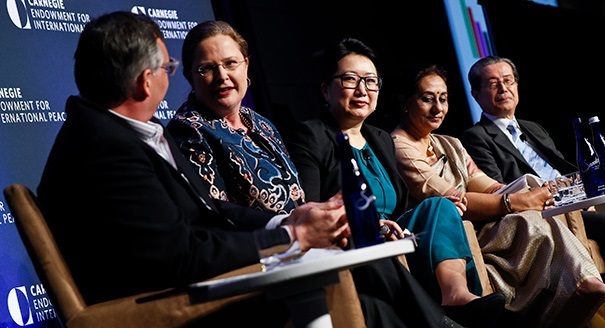 Three trends are driving this development: the accelerating quality and variety of remote sensing technologies available outside governments; the growing volume and availability of trade data; and the use of data analytics, including artificial intelligence approaches such as machine learning. This open-source information is being used by NGOs to further public and expert understanding of important nuclear developments. Panelists from the NGO community will describe their work with open-source information and data analytics and how they share their findings with governments. Former government officials will describe the challenges this information poses to verification determinations. Specific attention will be paid to monitoring in Iran, North Korea, and Russia. 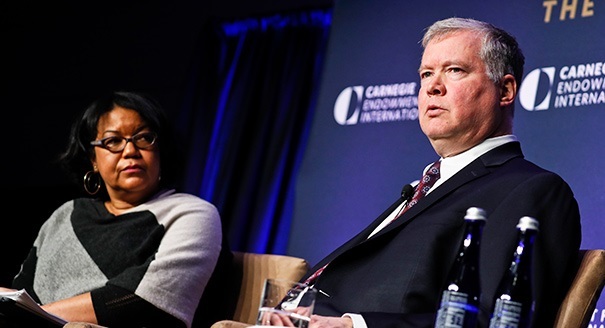 What are effective strategies to address the current lack of racial, ethnic, and gender diversity in the nuclear policy field? 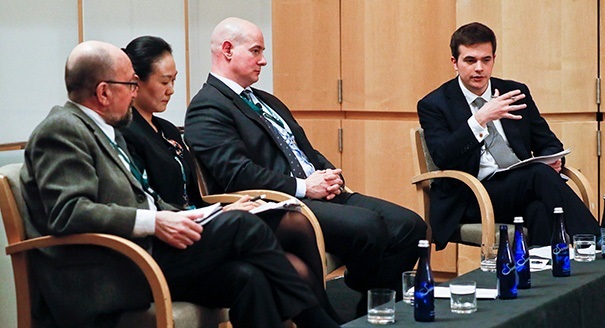 Three members of the nuclear policy community currently engaged in making the field more inclusive of historically underrepresented backgrounds will explore this question. 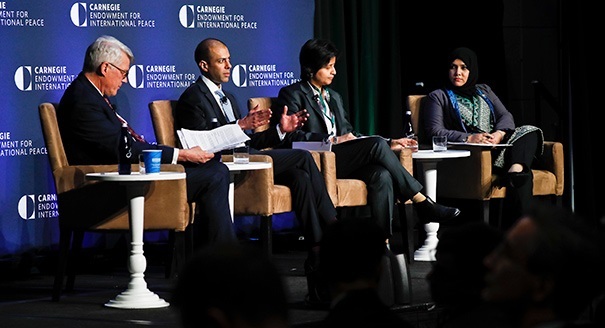 They will share their unique perspectives on how to foster a more equitable and conscientious dialogue on the representation challenges confronting the nuclear policy world. Their insights will provide a launching point for a stimulating exchange of ideas on actionable pathways toward a truly diverse and inclusive community. The goal of this session is to engage the audience in a substantive, practical conversation about making our field more representative of the wider world it affects. 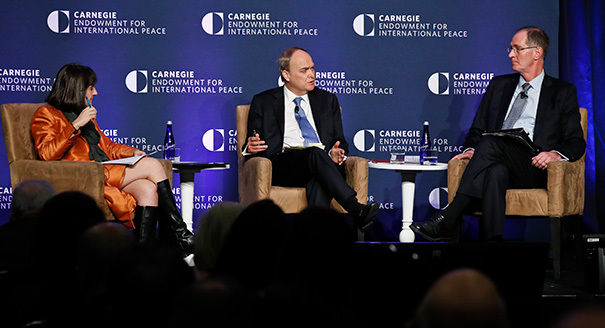 Public engagement on nuclear weapons issues is both possible and essential, especially today. 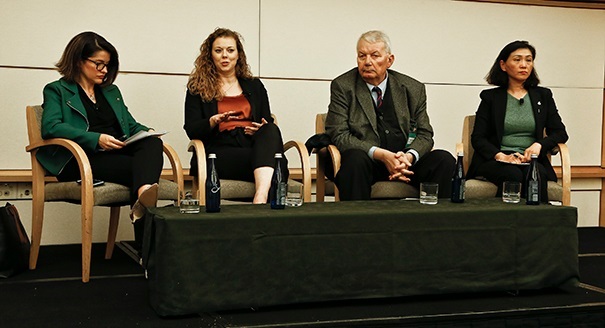 After seeing a marked reduction in public interest over the span of three decades, the nuclear expert community must examine why a disconnect exists and how it can be repaired—especially now that nuclear weapons are front-and-center in the news cycle. 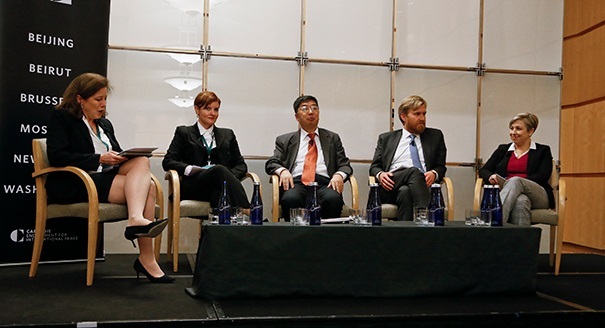 The expert community faces a unique opportunity to engage the public on nuclear issues and encourage its involvement in the policymaking process. But, public engagement today may look very different from thirty years ago. 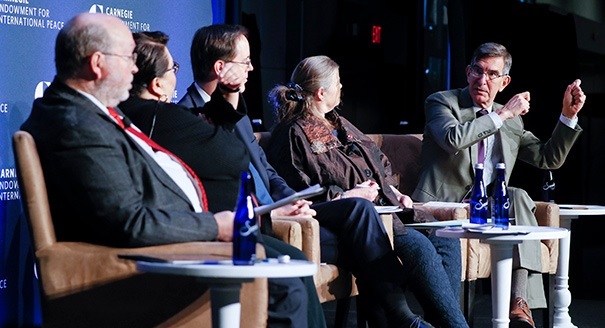 This panel features experts, advocates, and artists with direct experience engaging the public on nuclear weapons issues, each of whom represents innovative, unorthodox approaches to public outreach. 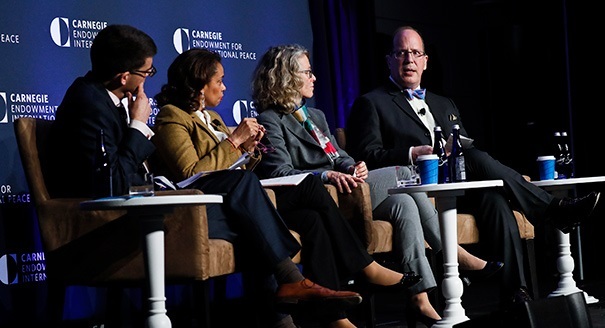 By sharing the ways in which each panelist blends their expertise with creative expression, we aim to encourage participants to develop new forms of public communication at this critical moment for nuclear policy. The direst nuclear proliferation threat facing the international community is the growing size and sophistication of North Korea’s nuclear arsenal. Despite years of multilateral sanctions, Pyongyang has exploited gaps in the international financial system to move money and materials that it uses to advance its nuclear program through jurisdictions around the world. It continues to do so, even in countries with the most sophisticated regulatory and law enforcement capabilities, because understanding of what proliferation finance is and how to stop it remains very poor. 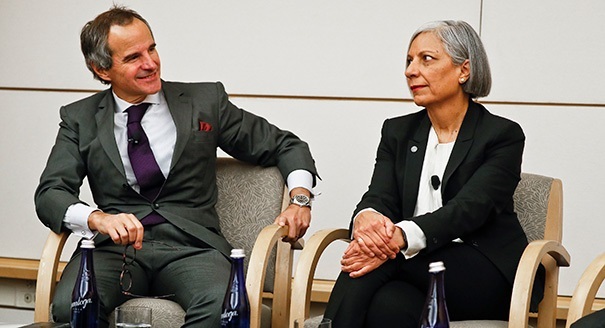 Three experts in using sanctions and financial crimes compliance measures to fight the proliferation of weapons of mass destruction will outline the current gaps in the framework to counter proliferation financing. 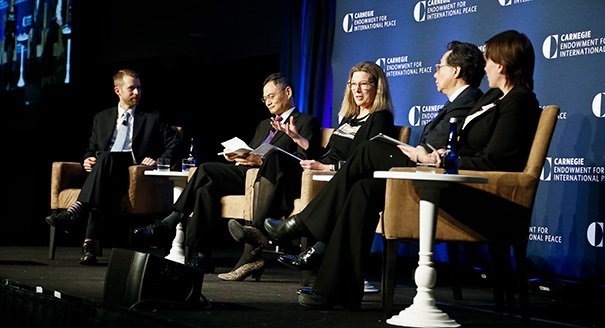 They will highlight the lack of political will that has been brought to bear on this issue to date and strategize about how to increase awareness of the vulnerabilities, while offering insights from engagements with stakeholders in the United States, Western Europe, and Southeast Asia. 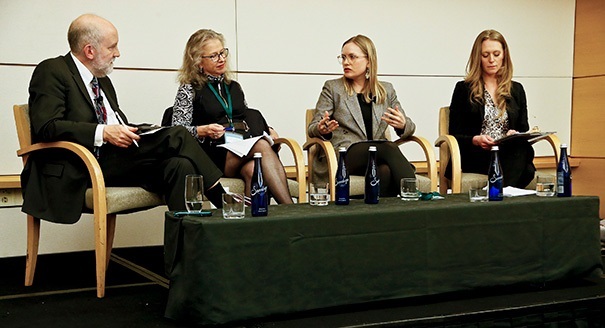 Female nuclear experts face unique challenges when engaging with the public. What are the best methods for dealing with those challenges? Organizers and participants will discuss why closing the gender gap in this field is important and how to use the media as a tool to advance innovative policy ideas and promote women in the field. We’ll look at obstacles for women in media representation and conference participation and offer practical tips for getting published (and reaching important audiences in other ways). The bulk of the session, in between opening and closing remarks, will consist of break-out groups in which participants will be able to engage with panelists and other leaders in the field. These groups will cover media engagement, representation in the nuclear policy field, long-term career goals, and online harassment.